Considering that lyrics are essentially poetry set to music, it’s no wonder that quotes from love songs are able to convey the most romantic of sentiments. If you and your sweetheart are big music fans, you may want to incorporate these sweet phrases into your nuptials. 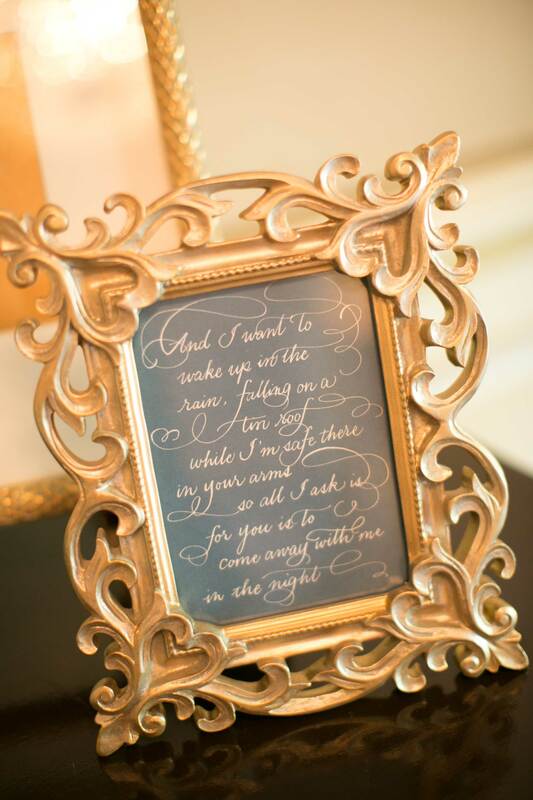 While a particularly touching line may end up inspiring your choice of a first-dance song, quotes can also be included on signage, cocktail napkins, ceremony programs, and even your vows! By including a line from a beloved tune in your wedding day, you increase the opportunities of being whisked back to that special day: whenever you hear one of the songs quoted, you will find yourself smiling as you reflect on the celebration of your love. The amount of romantic lyrics may be endless, but we have gathered a few of our favorites to help get you started. Find the most romantic quotes from movies and television to fill your day with pop culture you love.